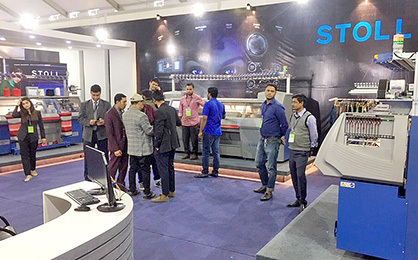 As in the past years STOLL exhibits and presents the latest innovation from the knitting world at the DTG - Dhaka International Textile & Garment Machinery Exhibition which opened its doors in Dhaka, Bangladesh on 9th January. Visitors from all over the world will be able to attend the show until January 12, 2019. For the first time the exhibition takes place at the new "ICCB" exhibition center in Bashundara near the airport. With better infrastructure and easier access to the halls, the organizers hope for more visitors and positive feedback. 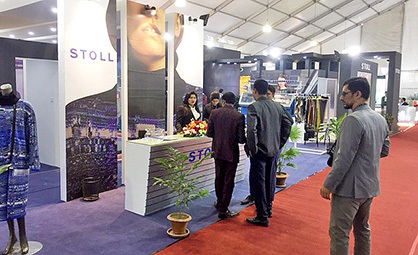 With German technology STOLL is prepared and welcomes its customers and interested visitors from today until Saturday, January 12th. STOLL is looking forward to an interesting and successful exhibition. Visit STOLL on booth 307, Hall 7.